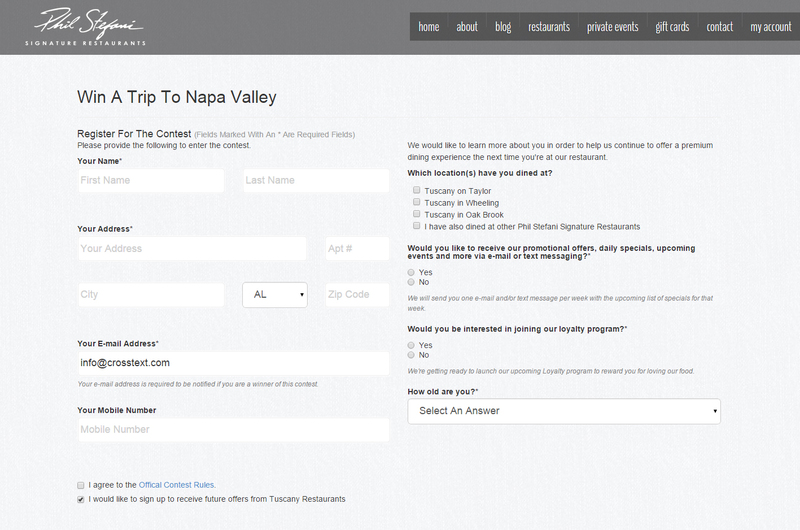 Lead with a scratch off with a grand prize trip to Napa Valley with follow up offers. 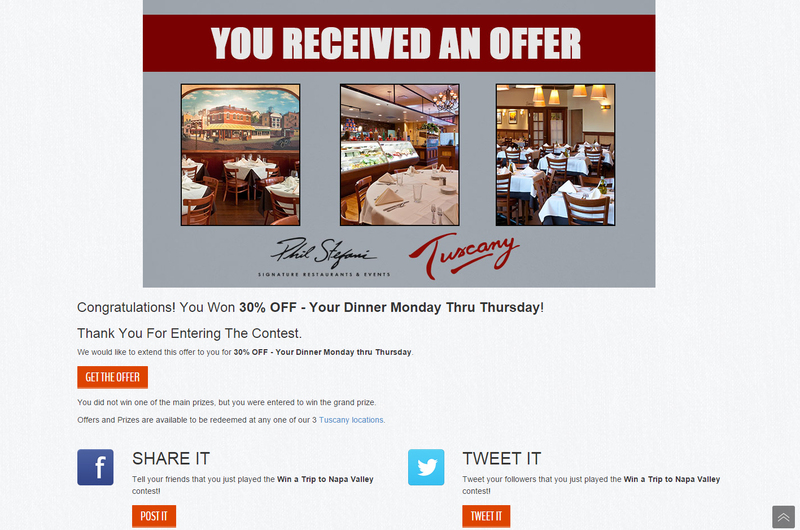 For thier Tuscany restaurant brand, Phil Stefani Signature Restaurants leveraged PeopleVine to engage with consumers during the holidays. With a chance ot win a trip to Napa Valley and other amazing prizes, everyone received at least a generous offer. 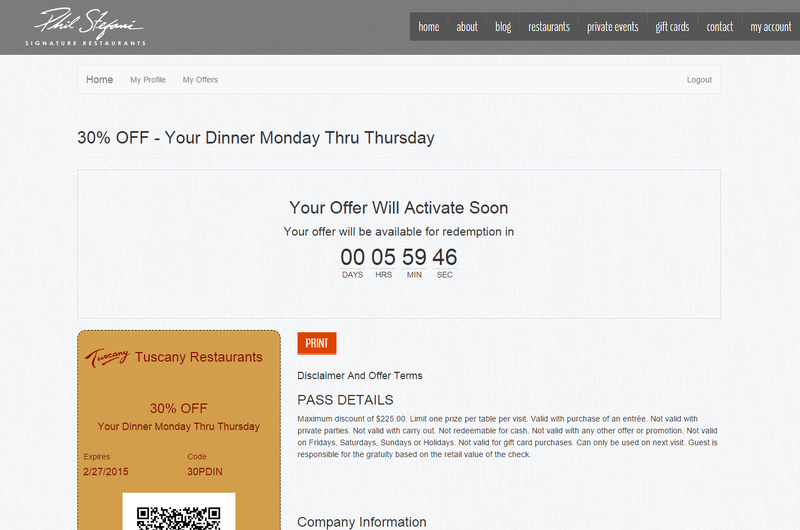 Then in an effort to drive people to their other restaurants, they sent people digital gift cards to redeem at the restaurant. The entire site could be interacted with from a mobile device.